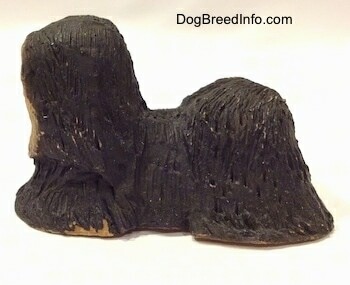 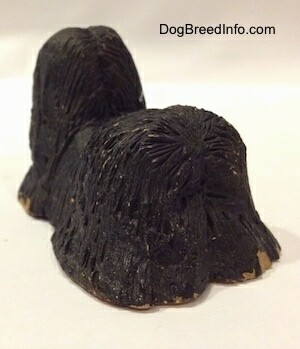 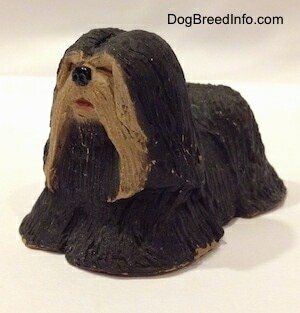 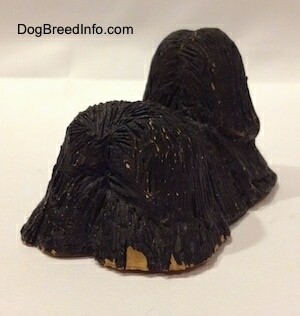 Pictured is a black and tan Tibetan Terrier dog in a full coat. 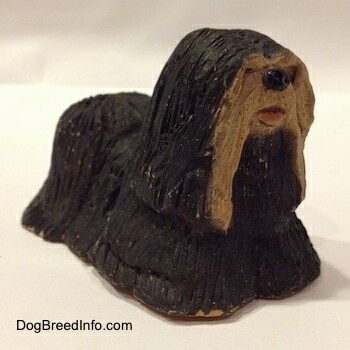 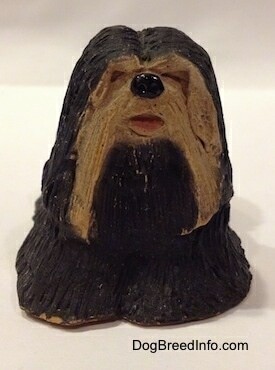 I believe this dog is made out of resin. 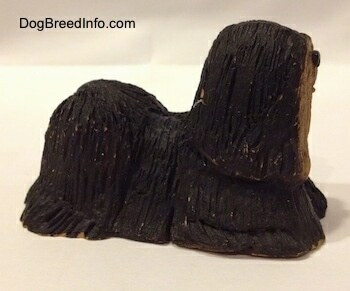 It stands 2 inches tall from the ground to the top of the head, 3 1/2 inches long from the back end to the front of the face and 2 1/4 inch wide across the base from hip to hip.